Well it’s done! It has taken two years for the FPHPS History Center volunteers to finish transcribing three boxes of 3X5 cards from the Bill Reaves – Federal Point files into digital format. A HUGE thanks to Gail McCloskey, Lois Taylor, Cathy Wahnefried, and Juanita Winner who typed and typed and typed, sometimes in the middle of the night. The files are now available for keyword searching at both the History Center and the Local History Room at the New Hanover County Public Library in Wilmington. 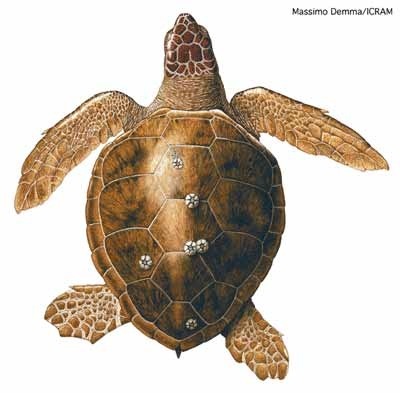 June 14, 1891 – Carolina Beach Notes: Turtle egg hunting is engaged in by all the residents with much success. June 22, 1896 – Mr. McSween, engineer on the Atlantic Coast Line Railroad, caught a large turtle near the hotel and presented it to the guests of the Hotel Oceanic. The turtle weighed about 400 pounds and measured 5 feet by 3 1/2 feet. It was to be served on Friday at 5 p.m. (Wilm Messenger, 6-24-1896). In 1937 John and Mae Flowers started renting a cottage for the summer near the ocean front road near Kure Pier. Owned by Will Kure, a third Kure brother, the cottages had a small kitchenette with an oil cooking stove. John and Mae moved permanently to Kure Beach in 1941, during the war to work in the ship yard. 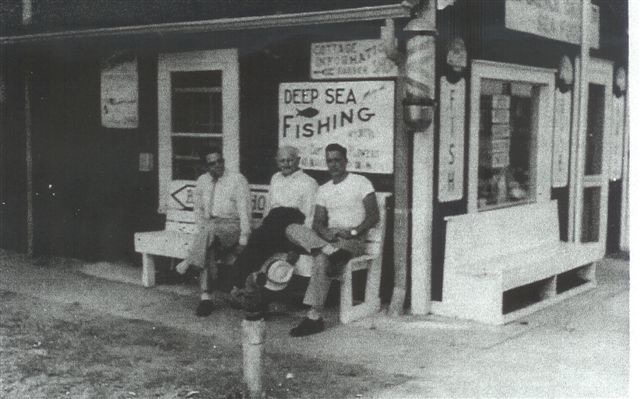 In Kure Beach John opened a 3 chair barber shop in a room back of Clarence Danner’s fish market. Outside was a “liars bench” so dubbed because the men sat there, talked, gossiped, and told tales. John built their first house on South 5th Avenue, a dirt road between J & K Streets hauling dirt to fill the swamp. In the 50s he made the house two story and built cottages nearby. Son, Glenn Flowers (1928-2009), dropped out of school at about 12 years of age. At 16 (he was really 15) he worked a Civil Service position in the Ft. Fisher Post Exchange running a beer garden – 10 cents for a regular bottle of beer. Glen also worked at the main PX next to the radar building. He passed the test for the Coast Guard, spent 3 years in the merchant marines, and married Marie in 1947. He served as Kure Beach fire chief for a number of years. He carried people in a motor boat out in the bay to the cribbings and inlets to fish. The first day was very busy with 75 new recruits from Fort Fisher. For several seasons he and his wife ran a little snack shop at the bay where they rented poles and sold bait. 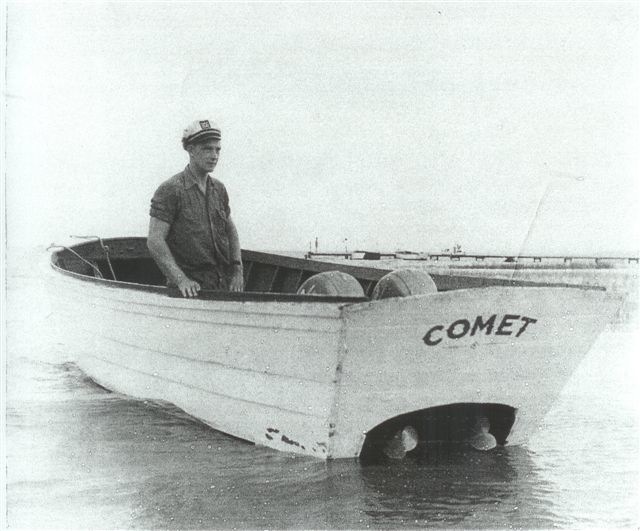 Glenn ran boats for deep sea fishing for 30 some years at Carolina Beach and the end of Fort Fisher Bay – the Comet (40s), the Linda Marie (50s), and the Stella May (60s). He furnished bait and a hand line with about 5 per boat and charged $5 each. Before Wilmington had a TV station Glen bought a TV from a Kannapolis salesman receiving stations from Charlotte, NC and Omaha, Nebraska. The government bought their 7th street property in the buffer zone behind the Baptist church. They moved their 4 room army barracks house to J Street and added a living room and bed room. About 1980 Glen gave up boating and worked on construction, piping, welding, repairing lawn mowers, and building race cars for Sunday afternoon races at Carolina Beach.